By furnishing your office space with remanufactured office furniture, you can have the furnishings you want for your office in the Tampa, Florida, area at a fraction of the cost the items would be brand new. 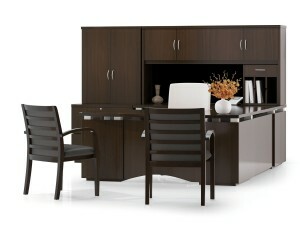 You’ll be able to save money while having a stylish office that will impress clients and employees alike. It’s a win-win. If you want premium remanufactured office furniture for your business space in the Tampa, FL, area, trust the experts at Reusable Office Interiors to supply you with top-of-the-line products. We can provide you with beautiful and functional pieces from popular brands, such as Teknion, Steelcase, Haworth, Herman Miller, and others. If you would like to learn more about the remanufactured office furniture we offer to business owners in the Tampa, FL, area, contact Reusable Office Interiors today.